Right now the quiz is setup so that it is results based. Meaning each answer correlates with a result and the result with the most answers will be served to the quiz taker. 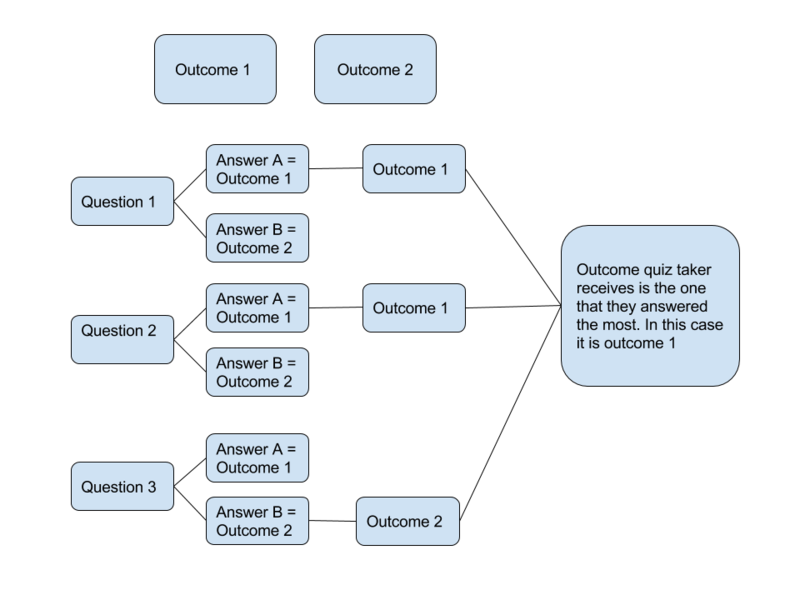 If there is a tie, meaning the majority a quiz takers answers match with two or more outcomes the same number of times then the tie goes to the first question that resulted in that tie and the outcome associated with that questions answer. For example say you have a 5 question quiz and 3 potential outcomes. If a quiz taker answers question 1 and it matches with outcome 1 and questions 2 through 5 are an equal combination of outcomes 2 and 3. Then the tie goes to the outcome that question 2 is mapped with since question 1 was not a question that resulted in the tie.